Acme » Echinacea May Work for Cold Prevention! Echinacea May Work for Cold Prevention! Natural Cold & Flu Remedies: Do They Work? Probiotics, often called “healthy bugs,” may give the body the boost it needs to fight off infection—good news for cold and flu season. A Cochrane Review found that probiotics may even help fight off that unwanted cold. No one likes getting a cold but few interventions have been proven to prevent them, so researchers are always interested in new options. In this review, researchers looked at 14 randomized controlled trials including 3,451 participants to see if there was a link between probiotic use and the onset of acute upper respiratory infections such as sinusitis, sore throat (pharyngitis), and the common cold. Results showed that people who took probiotics for at least seven days were less likely to get sick and less likely to need antibiotics compared with people who took placebo. The body is always working to keep the right balance of “good” and “bad” bacteria in our system. “Good” bacteria live on our skin and in our gastrointestinal tract and these friendly organisms are essential for staying healthy. Probiotics have been developed as a way to introduce the good bugs into the body and are one way to improve the balance of bacteria in our system. Probiotics may be one important option to help prevent illness as these healthy bugs help boost our immune system—the system that helps fight off infection and disease and keeps us healthy. Specifically, probiotics work in part by helping our immune system fight germs! 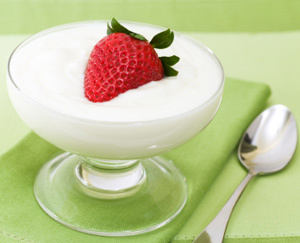 Probiotics are typically found in certain types of yogurt and kefir or they come in supplement form. Researchers don’t know yet exactly how much probiotics or for how long to take them for optimal health, but hopefully we will learn more information in the future about this important topic. In addition, different types of probiotics including Lactobacilli and Bifidobacteria were used in research studies that the study authors looked at in this review, and it is not yet clear which probiotic strains are the most effective. If you are interested in using probiotics to help prevent infection, talk with a knowledgeable doctor who can share the risks and benefits and may be able to recommend a specific probiotic product. Jane Hart, MD, board-certified in internal medicine, serves in a variety of professional roles including consultant, journalist, and educator. Dr. Hart, a Clinical Instructor at Case Medical School in Cleveland, Ohio, writes extensively about health and wellness and a variety of other topics for nationally recognized organizations, websites, and print publications. Sought out for her expertise in the areas of integrative and preventive medicine, she is frequently quoted by national and local media. Dr. Hart is a professional lecturer for healthcare professionals, consumers, and youth and is a regular corporate speaker.